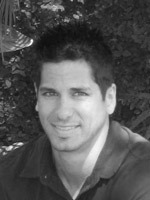 A born designer and builder, Chad has a degree in Landscape Architecture and Urban Planning from Arizona State University. As a child, he was continually creating and building two and three dimensional ideas. During his college years, the projects Chad worked on with Cuomo Brothers Development and Inspirations Interior Design gave him the experience and knowledge to quickly advance and receive his general contracting license with the State of Arizona. He has an eye for detail and a passion for perfection. Of the many skills that Chad has developed through his career, Real Estate was one more piece to the puzzle that made sense. He knows how to evaluate the integrity of residential properties and therefore is able to discern the best value for his client. He invites you to experience the power of his knowledge and expertise in the real estate market. VENTURE REI is a full-service real estate brokerage and advisory firm specializing in the purchase, sale, rental and marketing of select residential new developments and premier resale properties. VENTURE REI offers comprehensive real estate sales solutions for buyers, sellers, investors and developers. Our firm is a closely integrated team of accomplished professionals with extensive experience in every aspect of residential & commercial transactions. Real estate investing has traditionally served as a strong potential source of wealth creation in the United States. Prior to the Industrial Revolution, wealth was measured primarily in terms of the amount of land owned by an individual. © 2019 Venture REI. All Rights Reserved.